•The direction a polyline is flowing can be easily visualized by choosing the appropriate symbology. 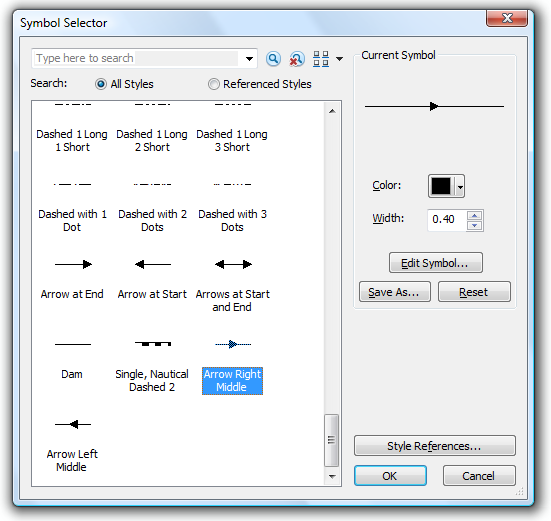 •In the layer properties, under the symbology tab with the layer symbolized with a single symbol click on single symbol to open up symbol selector dialog. Scroll to the very bottom and select Arrow Right Middle.